Online entries are now open for the 2014 edition of the Carrick Wheelers Challenge Sportive. 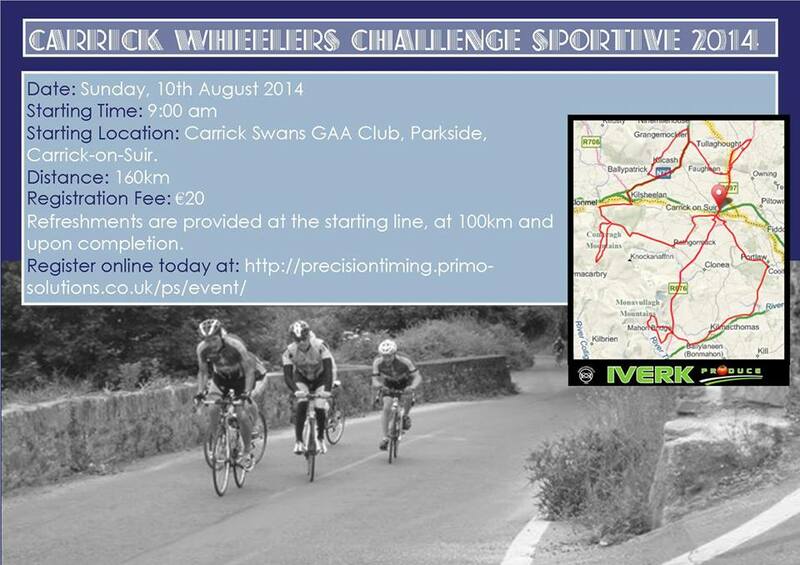 Follow this link and reserve your spot online: http://precisiontiming.primo-solutions.co.uk/ps/event/CarrickWheelersChallengeSportive2014 . This major event for the Irish cycling season will take place on Sunday August 10th 2014 and will be one of the toughest sportives held in Ireland this year. The route entails a total of eight challenges over 160km of roads that pass through three counties and two provinces, with a finishing stretch of “road” that is our version of Paris Roubaix!